With Sean Baker, Trey Edwards, Chris Newman, Ed Lachman, Peter Webber and Mike Hausman among its board members, a new film festival of classic films will unspool from Nov. 10 -13 in Bogota, Colombia. Dubbed The Classics – Festival of the Films That Will Live Forever, the new film fest is founded by producer Ivonne Torres and Juan Carvajal, co-founder and artistic director of the three-year old Bogota Independent Film Festival, IndieBo. For many moviegoers in Bogota, it was the first time to see such classics as Joseph L. Mankiewicz’s “All About Eve,” Elia Kazan’s “On the Waterfront,” and Nicholas Ray’s “Rebel Without a Cause” in the cinema. “I’m so happy to be part of the Classics; a festival that celebrates the history of cinema. Our young audiences deserve to see these films. And with proper restoration and presentation, they will not soon be forgotten,” said Baker. 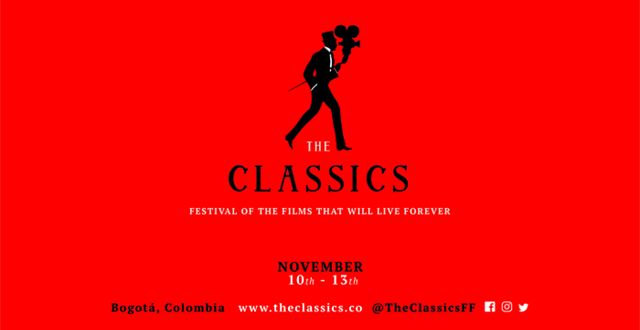 The Classics Film Fest is backed by the Film Foundation, Park Circus, Cine Colombia and Delta Airlines. Ed Lachman (“Carol,” “The Virgin Suicides,”) , Sean Baker (“Tangerine,” “The Florida Project”), Felipe Aljure (“La Gente de la Universal”), Trey Edwards (“Krisha,” “It Comes at Night”), Mike Hausman (“The Godfather,” “Amadeus”), Chris Newman(“The Exorcist,” “The English Patient”), Ciro Guerra (“Embrace of the Serpent”), Peter Webber (“Girl with a Pearl Earring,” “The Medusa”) Warrington Hudlin (“Boomerang,” “Katrina”) as well as execs Assemble Media president of production Scott Veltri and Munir Falah, CEO of Cine Colombia.